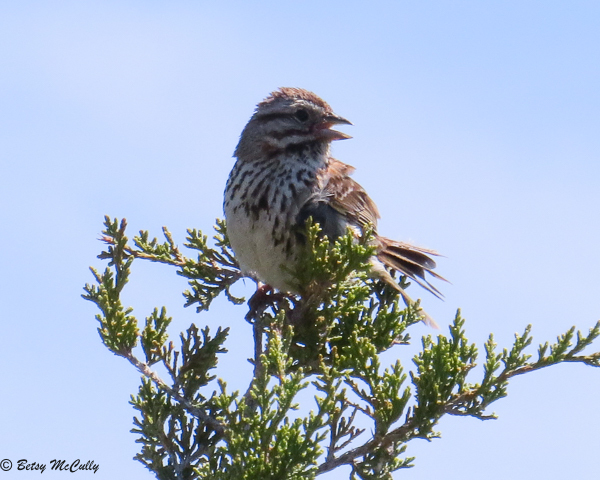 Song Sparrow (Melospiza melodia). Open woodlands. Year-round.